We just received more evidence to support the flawed nature of the BPS scheme. The US Congress is withdrawing the money for developing the US embassy, according to a detail contained in the latest bipartisan budget deal. And even more good news: the decision could also affect Boris Johnson’s plan for the Northern Line Extension. As reported on the Financial Times and Buzzfeed. 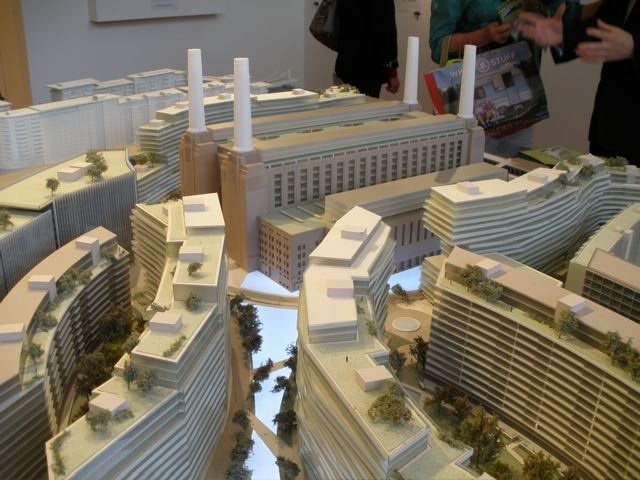 This will seriously affect the Nine Elms Battersea opportunity area. The enormous glass cube which was about to become the US embassy is currently being built on the south side of the Thames in central London. 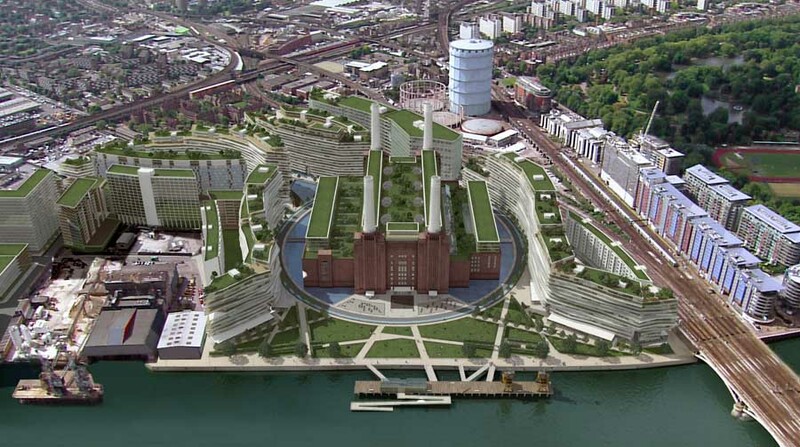 It was seen as key to spurring the redevelopment of the Nine Elms area of the capital and led to talk of a new “embassy quarter”, with the Netherlands and China also considering plans to move their diplomatic missions to the same area. Transport for London documents state that the “first major contributor” to the enterprise zone “is expected to be the US Embassy”. Together with the news that the development officer at the Battersea Power Station Development Company is leaving the project in May. Looks like Peak Power Station has been reached and is already downsizing. Alistair Shaw, who joined the Battersea development team in February 2013, handed his notice in before Christmas and will leave in May to pursue other development interests in the West End and central London. Shaw previously worked as the head of retail development at Stanhope on projects including Hereford town centre, which is due for completion later this year. A revised planning application for Battersea Power Station has been submitted and will be heard in April, while a reserved matters planning application for the high street element of the scheme is expected to be submitted in April. Seems like some positive changes are finally happening. Battersea’s ‘listed’ gasholders are being demolished to make way for new homes, shops and business space. Wandsworth council approved the demolition of this and three other adjacent gasholders in Battersea in January 2013, as part of the regeneration of Nine Elms. The Gasometer in Oberhausen, Germany, is a former gas holder which has been converted into an exhibition space. It has hosted several large scale exhibitions, including two by Christo and Jeanne-Claude. 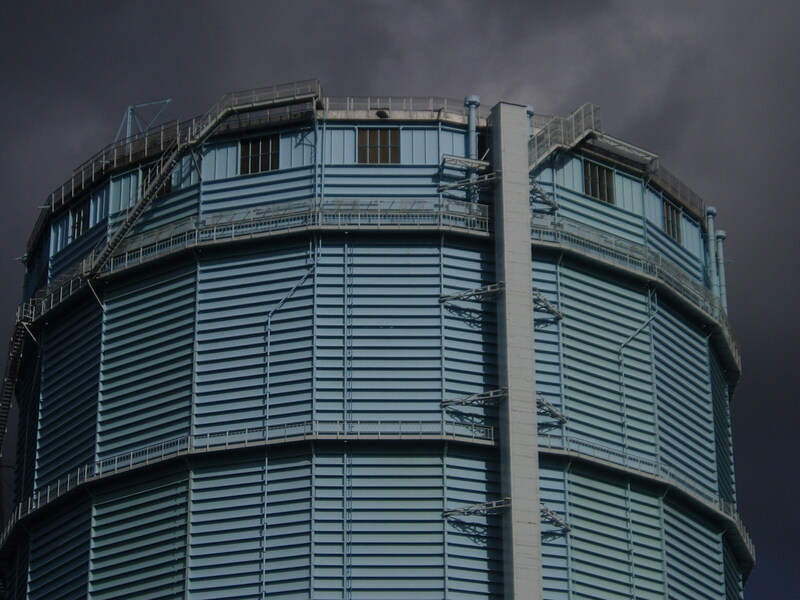 The Gasometer is an industrial landmark, and an anchor point of the European Route of Industrial Heritage and the Industrial Heritage Trail. 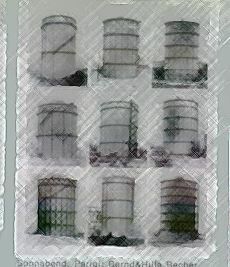 In 1992 the city council of Oberhausen, with a margin of 1 vote decided to acquire the gasholder, gasometer in German, and convert it to an exhibition space. At the time, plans were being developed for building CentrO on an adjacent plot, and IBA Emscher Park planned to use the Gasometer for its exhibition. Ownership transferred to the city of Oberhausen, with Ruhrkohle AG paying 1.8 million DM in saved demolition costs to the city. 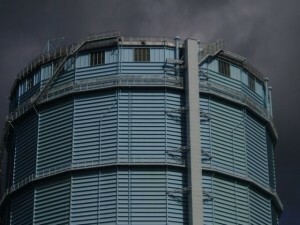 Hopefully the owners of the Battersea site will reconsider the usage of the gasholders for a similar purpose. Unfortunately, work (on the Prince of Wales Drive) has already began on tearing the disused holders down and they are planned to be gone by the end of 2014. The owners have planning permission to demolish the listed Victorian Pump House at any time. The first image of complete plans for the transformation of Vauxhall in south London has been released. More than 20 developments will turn brownfield land along the River Thames at Nine Elms into parks, homes, and shopping areas. 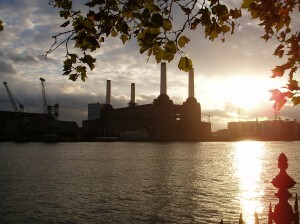 Construction work on the £8bn revamp of nearby Battersea Power Station is due to start in the middle of next year. A spokeswoman said the power station revamp is just one of the developments in the area. Programme director Helen Fisher, said the scheme would be centred around One Nine Elms, which she described as the tallest residential tower in western Europe. A spokeswoman for the scheme said construction of more than 1,000 homes had already started and the St George Wharf residential tower would be completed in the next 12 to 18 months. She said work on the new US Embassy was due to begin soon and the entire programme of works was expected to be completed in the next five to 10 years. A public consultation into plans by Transport for London (TfL) to build new underground stations at Nine Elms and Battersea is currently under way. The Nine Elms Vauxhall Partnership was set up in 2010 to oversee the development. The partnership includes developers and landowners in the area, the Mayor of London, TfL and the Greater London Authority, and is chaired by the leaders of Wandsworth and Lambeth councils. Property to rent in Battersea could become even more attractive if Transport for London’s plans to extend the Northern Line are given the green light. The city’s public transport body has launched the third and final public consultation on the project, which would see the London Underground network extended from Kennington to Battersea. It is seeking views from local residents before it finalises its application for a Transport and Works Act Order in the spring of next year. 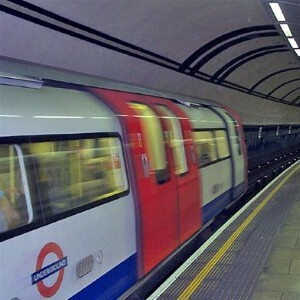 Under the plans, two new Tube stops would be created to benefit even more of London’s citizens. One would be situated at Nine Elms and the other at Battersea Power Station. Although those living in Battersea have access to overground railway networks taking them into Waterloo and Victoria, there are currently no Tube lines serving the area. The extension of the Northern Line into Battersea could therefore have a very positive impact on the local lettings market. According to Transport for London, journey times into the City and the West End from this part of London would be cut to around 15 minutes as a result of the new link. Managing director of planning Michele Dix said: “We are really keen to hear what local residents and business have to say about our proposed plans for the Northern Line extension before they are finalised. A number of public exhibitions are being held at venues across Wandsworth and Lambeth – the two boroughs to be affected by the plans – in the coming weeks, including one at the Gallery on the Corner on Battersea Park Road on November 29th. The Northern Line carries around 660,000 passengers every weekday and serves 50 stations between Morden and Edgware, Mill Hill East or High Barnet. It has two Central London branches – one via Bank and one via Charing Cross. 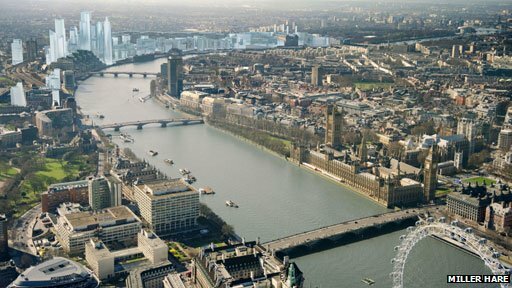 With work on redeveloping the famous London landmark due to start next year, what does the future hold for that part of the south bank of the Thames? It was decided back in June that the decaying Battersea power station site would be sold to a consortium of Malaysian developers following the financial collapse of the previous owners. There had been talk of Chelsea FC relocating there, but that always an unlikely result. Two months earlier, Rafael Vinoly had presented his masterplan vision for this landmark location in the video below. It’s worth a careful watch. Encouraged? Excited? Impressed? Community campaigners seem simply depressed, especially about those four famous chimneys. In his video Vinoly spoke of the “original stacks,” but it has lately emerged that the plan is to demolish and replace them with replicas. Critics claim there’s no need to knock them down and express doubts that the copies will ever rise – the suspicion is that the developers would sooner level the whole building, which would increase its potential for profits. They’re unhappy too about the amount of protection provided by English Heritage and sceptical that the proposed riverside walk will be all its cracked up to be. But this is much more than a heritage row. The power station site is just part of the far wider redevelopment of Nine Elms, a huge enterprise covering 480 acres stretching from Chelsea Bridge to the Albert Embankment, which will also include the new US embassy, luxurious waterfront accommodation, a linear park, Europe’s largest residential towers and an extension of the northern line. If the whole lot come to fruition the boast is that 25,000 new, permanent jobs will be created along with 16,000 new homes of which an anticipated 3-4,000 will meet the newly slackened definition of “affordable” – a larger percentage than the Earls Court project and some other schemes in the capital would like to get away with, but still not very large. You might be able to find work in the new Nine Elms, but don’t expect to be able to live there. That’s the way London is going. An opportunity to get information and raise concerns over the transformation of the Nine Elms Vauxhall area at the Nine Elms open day : Thursday the 15th and Friday the 16th of November. National Grid is holding drop in sessions inviting local people to have their say on its plans to demolish four redundant gasholders in the Nine Elms on the South Bank regeneration area. With plans to create new homes, shops, leisure facilities and public spaces, National Grid could be demolishing some of London’s most iconic sights. Ideas to convert the gasholders into museums on Britain’s history of power and electricity could preserve the interesting structures, while creating new public spaces. A letter from Shaker Aamer, the last UK resident in Guantanamo Bay, to is lawyer has been recently unclassified by the Pentagon. The letter, dated July 15 2011, describes the inhumane treatment the detainee of ten years has been experiencing and the continuing injustice that led him to begin a peaceful protest involving a hunger strike. After these years of hardship we have spent here — and which I managed to do only through the grace of God, otherwise I would have lost my sanity — I want you to consider my case as soon as possible and give me the right to a just and public trial or set me free without conditions. See our Shaker Aamer pages for more information. 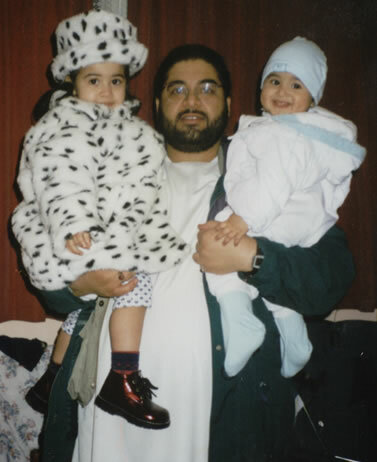 Sign the Government petition to return Shaker Aamer to the UK. Shaker Aamer is one of the 171 men still held in Guantanamo Bay and its last remaining British resident. Despite never having had a trial, having been approved for release twice and been the focus of a high-profile campaign for his immediate release, Shaker has remained in detention for more than ten years. His physical and mental health deterioration is also a prevalent concern. Spectacle is making a short film about Shaker Aamer to mark the tenth anniversary of his incarceration. The film includes interviews with activists and former detainees and paints a picture of who Shaker Aamer is and the injustices he has endured for the last decade. 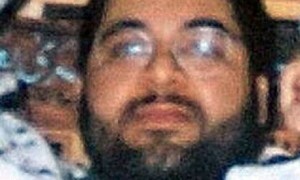 The project area of the Spectacle website also contains full information about Shaker Aamer, the progress of the campaign and links to more content such as Scott Horton’s 2010 article, ‘The Guantánamo “Suicides”: A Camp Delta sergeant blows the whistle’, published in Harper’s Magazine.